Gaining a man’s respect and admiration these days can seem like pulling teeth. With so many women putting their “assets” on full display, the “stock market value” on womanhood has taken a serious plummet. It almost seems like our men feel like we’re all the same. Of course WE know that’s not true but in this society, the image of the majority- rules. Most of us find ourselves, at some time or another, bearing the consequences of that image. We deal with guys who harass, “expect” or just flat out disrespect! It’s not OK, but there’s something you can do- NOW- to change the way you’re handled as a woman. There’s one simple step that will guarantee that you’ll be honored, respected, and protected by any man worth the title of “man”. Yes, you read that right, it’s not a five-step plan or even a three-step guide…. Just ONE! Have you ever noticed some women just “have it”? You can never put a finger on what “it” is but you just know they got it. They command almost a silent attention when they come around. Women admire them- if only on the inside- and men, men seem to hang on to their every movement and word in what almost seems like reverence. And I’m not talking about that drool faced ogling either! Nope, they actually listen when these women speak. I’m forced to call to mind women like Phylicia Rashad…or the Bhutto (rest her soul). Women who ooze(d) feminine grace, elegance and poise. They never seem to be “off” even though I’m sure they have had their days, and in their respective communities they are placed on the highest pedestals of womanhood. So what is it that women like this have remembered that the everyday woman has forgotten? If I can think of one word to describe the Claire Huxtable character that Mrs. Rashad played oh so well, it would be “soft”. Not soft in the crying doormat way, but sweet, charming. She was the ultimate picture of effortless femininity. That same grace seems to carry over into every role she has played and every appearance as herself that she’s made. That quality of being feminine is something that our foremothers knew well. They wholly embraced the power of the feminine principle and it worked for them. You see as women, we are built to be soft. I mean, clearly all our parts are cushiony! Eventhough the society is hellbent on “redefining” femininity- it is to our benefit to remember the natural way. Why redefine what’s already perfected? We are a place of comfort for our men and families. We are pleasant- to look at and speak to- gentle, sweet, and compassionate. Or at least we can be. It’s about being charming, never manipulative. Sensual and sweet, while maintaining mystery and discretion. Being strong without aggression and soft enough to hold onto for life. And that’s the bottom line. A woman who is in love with her femininity and wears it proudly is a rare breed in todays time. Those women bring out the natural need in any man to protect, honor and respect. They not only compel men (even the ones who seem to ALWAYS be childish) to elevate to their highest potential while in their presence, they move women to be more attentive and receptive- relearning and remembering our own true nature as well. It doesn’t take a special woman to gain this kind of respect and admiration. It is in all of us. What it does take is for a woman to WANT to get back to her truest nature and return to what’s most divine about herself. 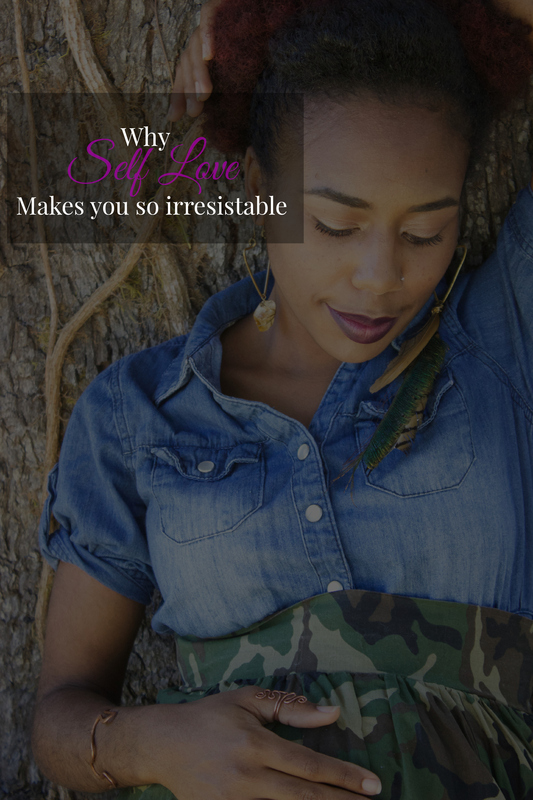 It requires that we practice a level of self love that is almost primal in this “progressive” time. It compels you to reach into yourself and bring up the beauty, softness and strength to be who you were created to be. See, gaining the respect of men is the easy part.They WANT to cherish and care for that beautiful, feminine naturalness. The most daunting hurdle is really getting back to the place where we respect our own femininity so much that mainstream opinions of it no longer matter. Returning to a place where we love, honor and protect our softness. Wearing our glow without shame or fear of ridicule from those who haven’t mustered up that kind of courage yet. We are the gateways of life and all creativity. So everything we seek from with-out must first come from within. No need to search far sista, it’s already there.